Mahendra Singh Dhoni is not just one of the best captains of all time, but he is also one of the best wicketkeepers the world has ever seen. We have witnessed some of his lightning-quick stumpings behind the wicket apart from some breathtaking flicks to run the batsman out. 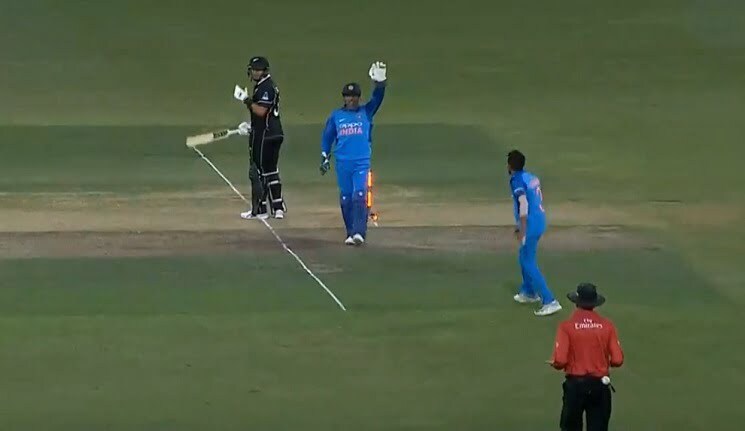 During the fifth One-Day International against New Zealand, the world witnessed yet another master class by MSD, when he found Jimmy Neesham out of the crease. It was enough for Dhoni to collect the ball quickly and disturb the stumps. Jimmy Neesham was blowing Indian bowlers out of the park to keep New Zealand’s hopes alive until he ran into MS Dhoni’s presence of mind. On the second ball of 37th over, he missed a Kedar Jadhav ball, which hit him on the pads. Indian players went up in appeal and Neesham lost the ball and thought to take a single. It was enough time for MSD to gather the ball, dropped nearby him, and disturb the stumps to catch his out of the crease. In the tenth over, he stumped Sabbir Rahman, who had raced away to 26 from 15 deliveries, off the bowling of Suresh Raina. 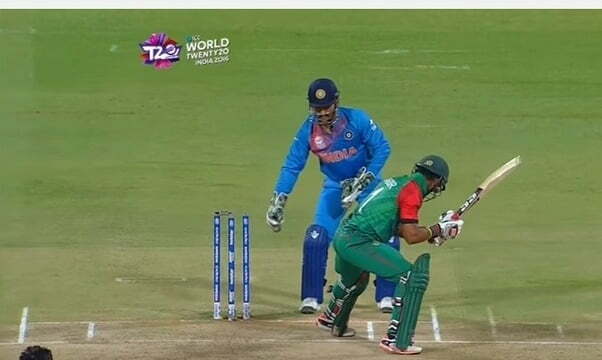 Sabbir had just briefly lost his balance while trying to play a flick off a short delivery down the leg side, but it was more than enough time for Dhoni to effect a stumping. 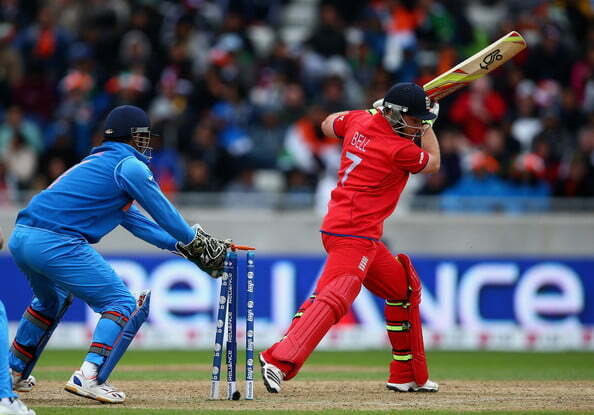 Opener Ian Bell was batting on 13 from 15 balls when Dhoni’s quicksilver glovework sent him back to the dressing room. Facing up to Ravindra Jadeja, Bell had lifted his right leg for just a fraction of a second while attempting an inside-out drive. By the time he could bring his right leg down, though, Dhoni had weaved his magic. Needing 11 off the final over, Bangladesh seemed to have sealed the contest when Mushfiqur Rahim slammed two boundaries off Hardik Pandya’s first three deliveries to bring the equation down to two runs from three balls. Bangladesh, though, lost two wickets in successive deliveries. With tailender Shuvagata Hom now on strike and two needed off one delivery, Dhoni cleverly moved up a couple of paces and took off his right glove so that he could throw the ball at the stumps in case of a run-out opportunity. Shuvagata duly missed a widish delivery from Pandya, and Dhoni ran up to the stumps to run out non-striker Mustafizur Rahman.